A Memorial Stone , overlooking , Pwll Deri . 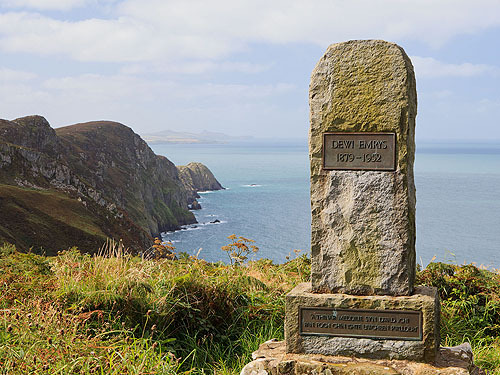 The memorial to Dewi Emrys (1879-1952) , a welsh poet , near the road to the Youth Hostel. The welsh inscription is from Dewi's famous Poem "Pwllderi" , and translates as- 'and these are the thoughts that will come to you / When you sit above Pwllderi'.